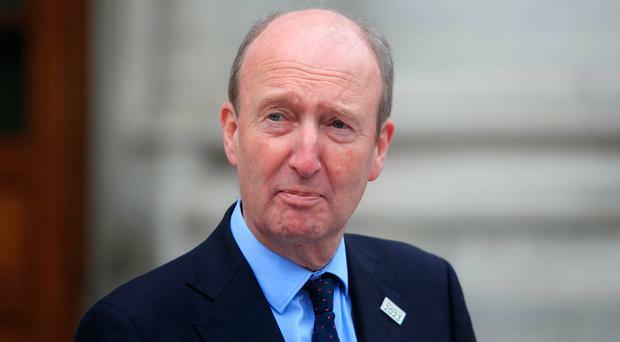 He has been accused of jumping on bandwagons during his tenure as Minster for Sport and Shane Ross also added to his growing list of gaffes this morning during an interview on Newstalk. Prince Harry has said football is 'most definitely' coming home as England prepare for their World Cup semi-final with Croatia in Moscow tonight. The Inbetweeners star Blake Harrison said it was "a buzz" scoring the winning goal in Soccer Aid. One of the challenges of being an athlete is keeping yourself entertained between events, and nobody is doing it better than Switzerland’s freeski team. Burnley manager Sean Dyche used to enjoy eating earthworms according to his former Bristol City teammate, Soren Andersen. It's not often you see a goal like this. Christmas came early for Galway hurling superfan Daniel Brogan. Colin McCarthy isn’t like every other PGA professional. Shane Duffy may be perceived as an immovable force in the heart of the Irish defence, but the same cannot be said for his pre-match demeanour. Ireland's record goalscorer Robbie Keane appears to be settling seamlessly into life at Indian Super League champions Atletico de Kolkata. Blessing Awodibu is a social media sensation and a huge Mayo football fan. British rower Alex Gregory takes ‘wrinkly bath hands’ to the extreme in a snap from his gruelling Arctic expedition. Barcelona's summer transfer window went from bad to worse after their official Twitter account was hacked to claim they had signed Angel di Maria from PSG. Sligo Rovers star Raff Cretaro had plenty of reasons to smile last night. The National Wax Museum has unveiled its model of MMA superstar Conor McGregor - but had to defend it against claims it bore little likeness to the fighter. He has stared down some of the most fearsome players in rugby and is cold and calculated in the most intense situation but Johnny Sexton can be caught off-guard. A mischievous car clamper had fans fearing Manchester United might be late for their last pre-season friendly game. He's one of the most recognisable sports stars in America and one of the greatest quarter-backs of all time... he's not a bad singer either. The most decorated Olympian of all time Michael Phelps will race against a great white shark as part of Discovery's Shark Week. A young Irish rugby fan's expressive performance of the Haka helped him secure the call up of a lifetime to become an All-Blacks apprentice. Former Kerry forward turned fashionista Paul Galvin took to Instagram on Monday to show off his new luxurious modes of transport.